Yesterday we brought you the news that the HTC HD7S would be coming to AT&T in just a matter of weeks, something that might annoy owners of the regular HD7 on T-Mobile. The difference is pretty clear to us, we must say. 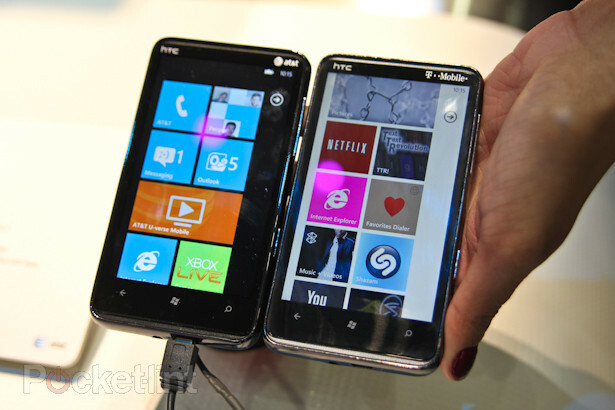 What does this new phone mean for the world of WP7? It implies that the phone line continues to expand and mature, two things that it desperately needs to do. Now with over 10,000 apps under its belt, the WP7 phone line needs to push hardware improvements as, while the WP7 OS is strong, its carrying hardware has been capable but dull. Of course, with the AT&T and T-Mobile (US) merger in the works, it could be in short order that the combined giant carries both the HD7 and the HD7S, but for now that is too up in the air to call. If you own an HD7, do you now wish that you had waited?